Are you one of the many struggling with your finances, perhaps teetering on the edge of debt problems? All may not be as dire as you think. Do you have some unwanted gold chains, necklaces, coins or other collectables? If so it may be time to turn them into cash. Getting cash for your unwanted gold can be a quick and easy way to help turn your finances around. You may have some gold jewellery that is either broken or no longer ‘in fashion’ and therefore not used. Equally you may have inherited some items from relatives that whilst valuable, you’re never going to wear. As long as the sentimental value isn’t too great, maybe they are a candidate to turn into cash? What about gold coins too? Or other collectables. 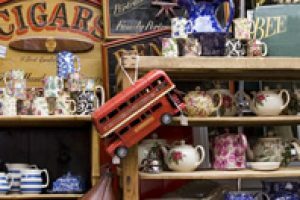 By taking a good look around your house, in drawers and cupboards, you’ll no doubt be surprised just what you can find. Depending on what your jewellery is, you may be selling it to be melted down or you may be selling on the individual item. If need be have your items valued by an independent jeweller. If you have a certificate or other documentation to authenticate your jewellery make sure you have that available. Taking your gold to the high street to a pawnbroker or jeweller is an option. Selling your gold online is another option to consider. Do some research to get the best deal. There are so many companies now offering to ‘buy your gold for cash’ that you need to do some research first and make sure you opt for the solution that gives you the best deal. Checking out reviews and testimonials too can be a good way of helping you to identify a good company to use. A company will usually value your gold based on its weight, so it’s worth checking the weight for yourself and using this, along with the current gold price, to give yourself an idea of the value of your gold. As you do your calculations, don’t forget that 18 carat gold is worth more than 9 carat gold. Most online companies will give you an initial, instant quote. You’ll probably have to upload a photo as part of the process. The company will then either arrange to pick up your gold or send you a special envelope so that you can send it to them. Assuming the actual value of the item matches the quote given, you will then be issued with the cash. Cash or a short term loan? 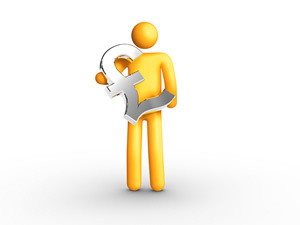 Just like a high street pawnbroker, some online companies will effectively give you a short term loan for your cash. After a defined period of time you can pay this loan back and get your gold back. Might be a good solution if you’re tackling a short term cash flow which many people from time to time do. In fact a recent report showed that most people struggle for cash just 17 days after payday. So is it time to turn your unwanted gold into cash? Whatever your need, having unwanted gold round the house doesn’t seem sensible. Turning it into some cash to enable you to buy something you do want or even to use to help you with some short term finance issues seems a good route to take. Perhaps it’s time to start rummaging around your house to see what you can find?